Helena Jackson is an award-winning director and producer. She is a winner of the University Women in the Arts Programme 2016-18 and is continuing on as a Trainee Artistic Director for the second part of the programme. She is also a Junior Associate at the King’s Head Theatre and Artistic Director of Sleepless Theatre Company. Helena is currently acting as Resident Director for a 90-strong rep company in Moenchengladbach, Germany. Past directing credits include La Traviata (King’s Head Theatre, nominated for Best Opera at the Off-West End Awards 218), Lost In Thought (Underbelly Edinburgh Fringe 2018, Theatre 503), Baby Box (King’s Head Theatre, Who Runs The World season), LET Award-shortlisted Nine Foot Nine (showcased at the Royal Court, consequently Bunker Theatre and Assembly Rooms Edinburgh Fringe 2018, two-time Offie nominated), Come Inside (Bush Theatre, winner of the GLYPT Residency), Dead Equal for the Helios Collective in association with the English National Opera (Lilian Bayliss Studio), The Master and Margarita (ZOO Venues Edinburgh Fringe 2016), a tour of Carmen in the Pub (Angel and Greyhound, Mitre) and Masha and the Firebird (Theatre Delicatessen). Associate/Assistant work includes Let’s Stop Brexit (Theater Moenchengladbach), Hansel und Gretel (Theater Krefeld),Tosca (King’s Head Theatre, Winner of Best Opera at the Offies 2018), New York - Dubai - Rostov with the National Opera Studio (Wilton’s Music Hall), The Sound of Fear (RADA) and The Magic Flute (King’s Head Theatre). Producing credits include Living Together (Oxford Playhouse) and Associate Producer of Festival 47 (King’s Head Theatre). Her personal website can be found here. 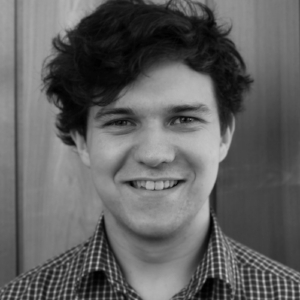 Alex Wood is an Associate Artist at Sleepless Theatre Company, the author of Nine Foot Nine and currently working as the Editorial Assistant for WhatsOnStage. Alex has had his work performed at Royal Court as part of the venue's International Women's Day celebrations, at the Pleasance Theatre (London) as part of the LET showcase, at Theatre Deli (London) and at the Burton Taylor Studio (Oxford). In August Nine Foot Nine will also have a full-length run at the Assembly Rooms at the Edinburgh Fringe. He started his career marketing for an AI and data-driven advertising company, while editing the theatre blog platform Theatre Bubble. During this time he also developed a knack for videography, and has worked on short films that have featured as part of the BFI London Film Festival, Vault Film Festival and screened at independent cinemas. Video work with The North Face was also shortlisted for the World Media Awards. He also writes and publishes interviews, news articles and blogs on the WhatsOnStage website on a daily basis. 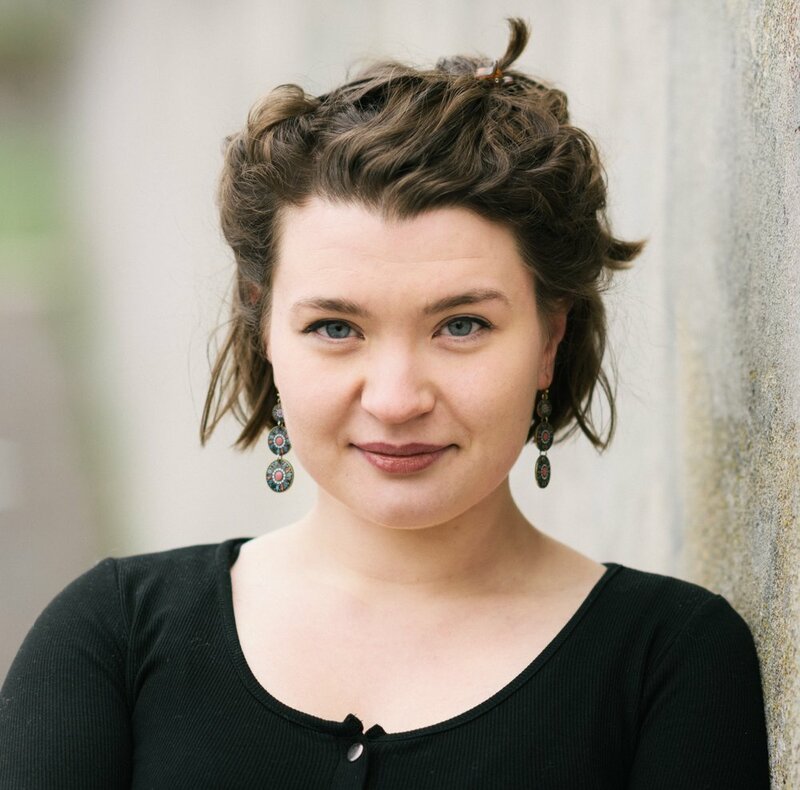 Madeleine Perham is a freelance writer and adaptor, and the Dramaturg for Sleepless Theatre Company's upcoming adaptation of Margaret Bateson-Hill's Masha and the Firebird. After directing a Philip Pullman-endorsed production of His Dark Materials at the Keble O’Reilly Theatre in Oxford, she was given the opportunity to write and direct the first stage adaptation of his novel The Ruby in the Smoke. This toured Oxford, London, the Pleasance at the Edinburgh Fringe and consequently was invited to the 2017 Brighton Fringe Festival. She also adapted and directed the official stage adaptation of Lauren Child's Ruby Redfort, which debuted at the 2017 Edinburgh Festival and will begin a UK tour next year. She previously worked as a script reader for Maven Pictures and the Imaginarium Studios. She was a founding member of the Theatre Royal Haymarket Youth Company, and her writing for young people has also been performed at the New Wimbledon Studio. 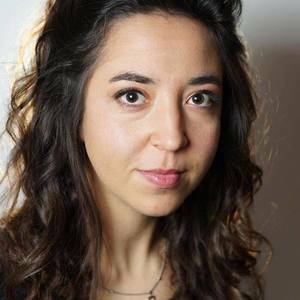 Indyana Schneider currently works as the Development Manager of the innovative touring opera company, OperaUpClose. Indyana is a trained opera singer, and currently studies privately with Nuccia Focile. She produced and performed in the original Sleepless production of Carmen in a Pub, which toured pubs in Oxford in 2016. She performed in New Chamber Opera’s Dido & Aeneas (New College Chapel, Oxford) and in A Mid Summer Night’s Dream (Sheldonian Theatre, Oxford). With New Chamber Opera, Indyana has also sung in masterclasses with world-class directors such as Katie Mitchell and Stephen Langridge. She composed music for, and performed as Feste in, Sir Jonathan Bates and Georgia Figgis’ promenade production of Twelfth Night in Worcester College Gardens, Oxford. She was the musical supervisor during the initial composition stages of STOP, a new musical by Leo Munby & Annabel Mutale Reed, which has since transferred to London stages. 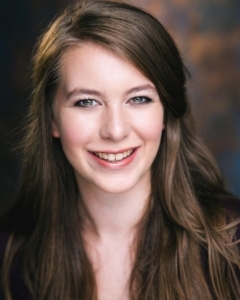 Indyana has also dabbled in musical theatre, both on the stage (Carlotta - Phantom of the Opera - Keble O’Reilly Theatre; Hope - Anything Goes - Oxford Playhouse) and as a Vocal Health Consultant with Leo Munby. Whilst at university, she founded the ‘Hat Tricks – Improvised Musical theatre’ concert series, which raises money for Oxford Homeless Pathways. She is currently working with Sleepless Theatre Company as the librettist of their upcoming production of Carmen in a Pub. Originally hailing from Switzerland, Cindy is a multilingual character actress with a passion for projects that combine strong text with creative movement and music/singing. 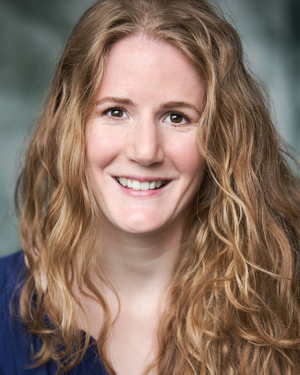 After a previous career in academia and as a translator, Cindy trained at LAMDA and East15 (BA Contemporary Theatre). Now she’s working in the UK and internationally in all forms of acting on stage and screen, with a special focus on classical drama and new writing. In addition to working with Sleepless on Masha and the Firebird, recent credits include Persephone in Airswimming and Meroe in Penthesilea (both with Playades[link: www.playades.co.uk), Titania/Hippolyta in Midsummer Night's Dream (Unfolds Theatre), Bawd/Lychorida/Thaliard in Pericles, Juno/Discord in Woman in the Moon (Dolphin’s Back), and Alice in Henry V (Carl Heap). Film includes Producer Lady in Hebt Mario Ab? Voice over includes Narrator in Carnival of the Animals.